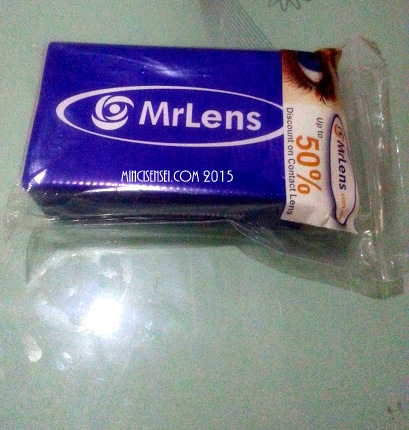 My trusted courier service [read: POSMALAYSIA] delivered a wonderful package from MrLens.Com yesterday. My box of contact lenses were packed nicely in a box and also secured in a ziplock bag!! I collect these gems – they can be useful while travelling to hold my passports. He he. And of course those cute personal touches – this time a lollipop although I loved the gummy bears more. 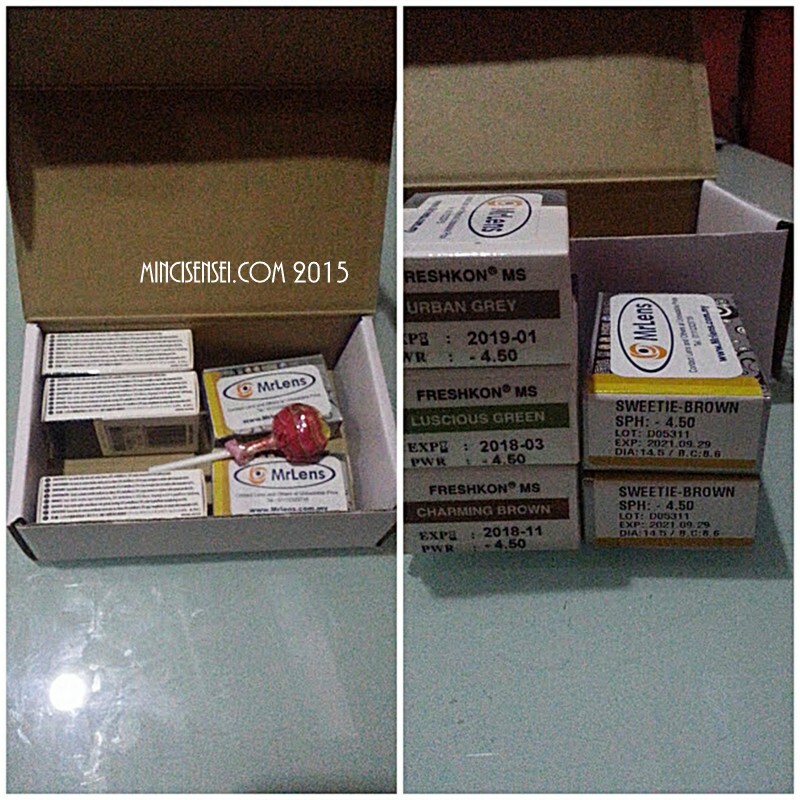 As usual, I bought my monthly supply of contact lenses. My favourite so far is the Blincon brand specifically in Sweetie Brown and Freshkon Alluring Eyes in Winsome Brown. This time around I decided to try something new and purchased the Freshkon Mosaic. Well, it has been around in the market for more than a year but I have yet to try it as they were not much honest raving reviews from normal bloggers as opposed to the Butterfly bloggers. Having being convinced of its natural and blending features especially in Asian women – through blog posts by non butterfly bloggers and as evident by photos taken by only then the butterfly bloggers, I decided to give it a go. Plus, they are on promotion on the site. Pictures will have to come later. I have a big big event to go cover as a medical team this evening. It would be nice if you could purchase the lenses through my affiliate link . See you around. Bye.